Don't look any further for the perfect infant sock, you have found it HERE! This cotton rich bootie is sure to stay on your baby's feet. 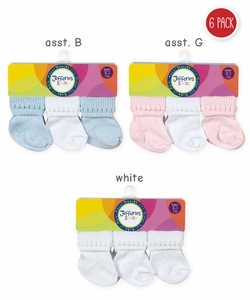 Jefferies Socks has made the perfect infant sock with just enough stretch for proper fit and no fuss dressing! These socks are proudly made in the USA!